Shadowhunters has some new company. 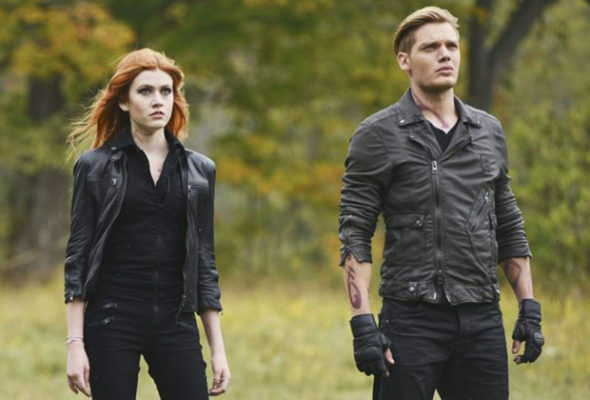 Deadline reports Luke Baines has joined the third and final season of the cancelled Freeform TV show. As reported earlier, season three will be the end for the supernatural drama. The cast includes Katherine McNamara, Dominic Sherwood, Alberto Rosende, Emeraude Toubia, Matthew Daddario, Isaiah Mustafa, Harry Shum Jr., and Alisha Wainwright. The third and final season is slated to debut on Freeform in 2019. Not if another network picks it up! Netflix and Amazon would be the best. We are fighting to save this great show. There is so much more that can come of it. Freeform is not a good network and I definitely will not be watching anymore. They (freeform) just dumped Sketchers without as much as giving the Fan base a reason.why. You’re right…”Freeform” is not a good network. Unfortunately it’s not actually a Netflix original even though it is claimed as one. Netflix would be smart to pick it up and make it an official Netflix Original. I would love to see the continuation of this series. I loved the books. Actually read them multipletimes. It’s a FreeForm original. They need to sell the rights to Netflix. I love this show.